Today, more than ever, we are experiencing challenges in our lives that can be almost unbearable. Even our best attempts cannot triumph over the pain and heartbreak that we experience. So many of us need others to provide true support in helping lay a foundation of brave steps to overcome our many hardships. 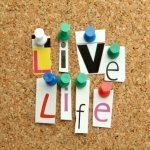 Living Life Counseling therapists use a variety counseling techniques to help clients move forward in conquering the struggles that are holding them back. One of the therapeutic counseling approaches we have developed is called Life Challenge Counseling. Provided below is a high-level outline of our method that can help you identify the underlying causes of behaviors that are keeping you from truly living life. 1. What are the behaviors you would like to conquer? 2. What are the thoughts behind those behaviors? 3. Are these thoughts really valid and true? 4. How do these thoughts make you feel? 5. When you look at your thoughts objectively, what is the actual truth? 6. What is the Scriptural truth behind your thoughts? As you can see above, our therapists first go through an identification process of the behaviors that you are struggling with and the associated thoughts. We spend time with you looking deeply at the complex and often painful feelings associated with these thoughts. Taking the next step, we explore the validity of the thoughts and potential ‘lies’ associated with them. What is wonderful, is that from this perspective you are able to discover the actual truth and reality connected with any negative thoughts. This provides a new, fresh outlook on living life to the fullest. We are also able to then reinforce the truth, by looking at the associated Scriptural truth. Finally, through this process you will complete a personal discovery worksheet to take home for your ongoing reference and use. We are here to encourage and help you understand the deepest issues that hold you back from truly living life. Is it time for a new, fresh start?